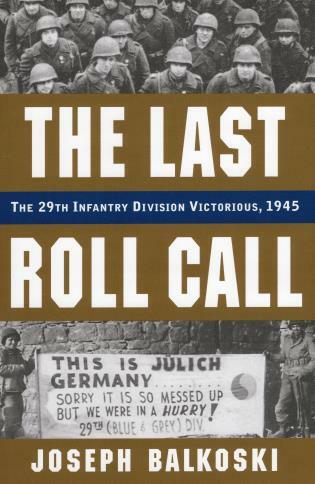 Joseph Balkoski concludes his landmark series on the U.S. 29th Infantry Division in World War II with the story of the 29ers during the war's final five months. Opening with the division's participation in Operation Grenade, Balkoski follows the 29ers through the crossing of the Roer River, the blitzkrieg-style drive across the Rhineland to the Rhine River, their military-government duties while helping to reduce the Ruhr pocket, and the survivors' return home. Joseph Balkoski is Command Historian of the Maryland National Guard and author of Omaha Beach (978-0-8117-3376-2), Utah Beach (978-0-8117-3377-9), and the classic Beyond the Beachhead (978-0-8117-3237-6). He has appeared as a D-Day expert on MSNBC, and his work has been praised by Joe Scarborough, the New York Post, the Washington Times, World War II magazine, and others. He lives in Baltimore, Maryland.